Many people are familiar with the term “root canal,” but few individuals know exactly what the process entails. While undergoing a root canal procedure at the dentist may not be the most fun you’ll ever have, these are actually part of normal dental services and putting them off can have a negative impact your oral and overall health. The professionals at North Pole Dental Workshop of Greater Fairbanks, AK, know that knowledge is the key to proper dental health. Purpose Of The Root Canal: If your dentist discovers a decayed or infected tooth, he or she may determine that you’re an ideal candidate for a root canal. A root canal is a process by which the infected tooth nerve and pulp are extracted and the interior of the tooth is cleaned and sealed. By removing the infected material, the dentist is preventing further, potentially serious damage, such as the formation of an abscess, bone loss, or drainage issues. Signs You May Need One: While it’s possible that you may not exhibit any severe symptoms, most patients experience an acute aching sensation in the tooth while chewing or applying pressure. You may also witness gum swelling or tenderness, and discoloration of the affected tooth. North Pole Dental Workshop will first perform an X-ray. The dentist will then administer local anesthesia to numb the area, drill a small access hole into the tooth, and remove any infected pulp and tissue. 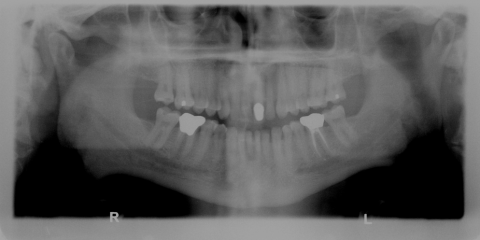 After the debris is completely removed, the tooth will be sealed. If further restoration is needed for the tooth, you may receive additional work during later appointments. The staff at North Pole Dental Workshop is committed to keeping you as comfortable as possible during the root canal procedure. If suspect that you may be a candidate for a root canal or have any other dental needs, call North Pole Dental Workshop today at (907) 490-4650 for an appointment, or visit them online for more information.